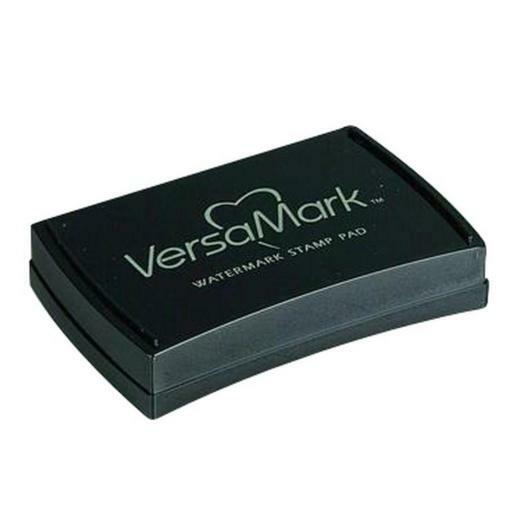 VersaMark Watermark Stamp Pad - 95mmx65mm. Clear pigment ink, slow drying, acid free. The versatile ink for stamping and embossing effects. Use with porous paper to give a watermark effect with your stamps or designs. Leaves a clear impressions when stamping in hot glue.